In the jungle, the mighty jungle, the lion sleeps tonight… Anyone remember that popular tune? Not sure if lions sleep in the jungles we visit around the world (in pictures at least), but the jungle itself is sure eating into everything in its way: cars, planes, statues, temples, churches. Nothing seems safe from the clutches of nature. And what’s most surprising is some jungles are not that far from home. 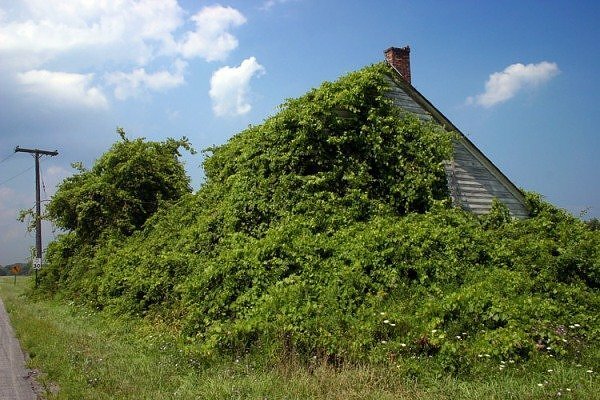 Find out why some plants grow peacefully on the outside of buildings while others take over and speed up a structure’s decay in The Walls Are Alive. 1. 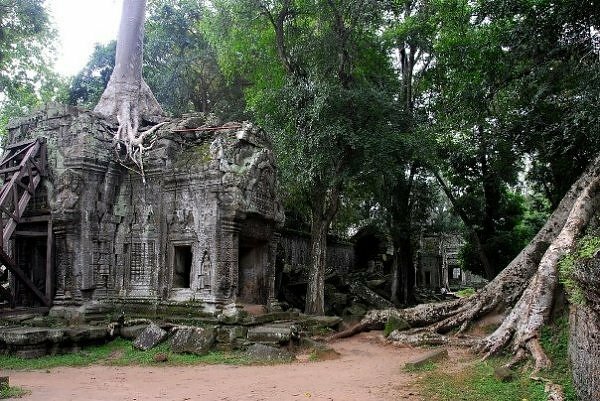 The Ta Prom temple complex in Angkor, Cambodia surely offers some astounding views of tree versus structure. At a closer look, this picture is even a bit scary, given how the trees are advancing from the top and from the ground. 2. 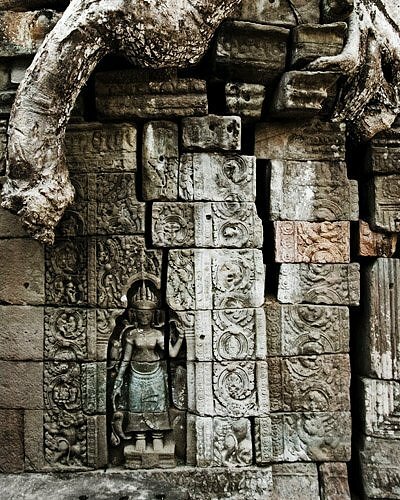 This amazing detail was captured in Cambodia at the Angkor Wat temple complex. 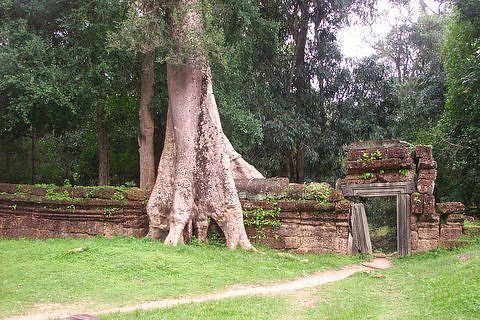 Notice how the tree has taken on the colour of the temple ruin (or is it the other way round?) and seems to be part of the structure, like a giant snake peeking down from the top. Don't miss how the roots have pushed the stone blocks apart (top right). 3. 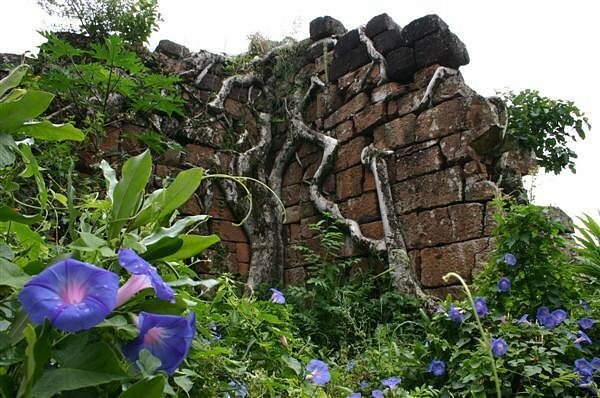 In this picture of another structure in Ta Prom, it looks like the tree first destroyed the temple and then changed its mind by deciding to form a second temple entrance. 4. 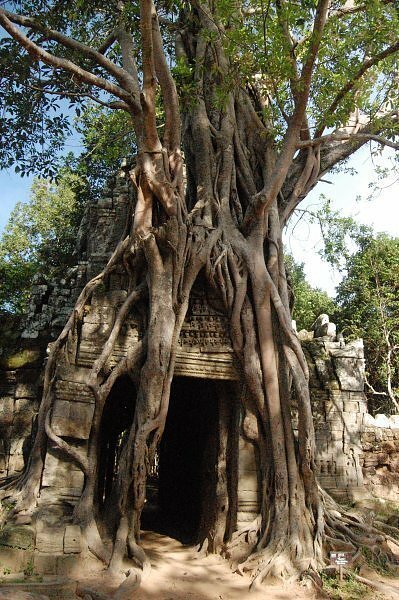 Here's a beautiful example of the power of a kapok tree in Angkor, Cambodia. Doesn't it look like a thin, white hand gripping the wall tightly? 5. 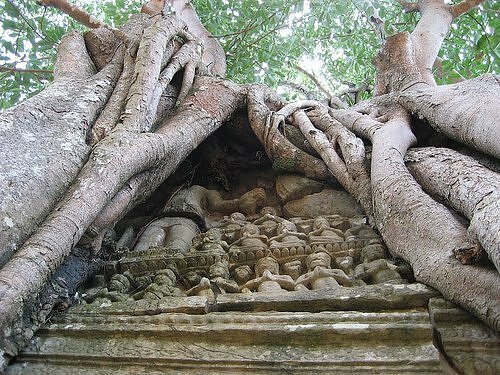 These statues are peeking out from under a tree in Wat, Cambodia. 6. 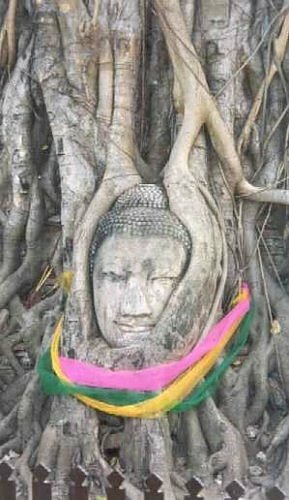 Even this Buddha statue couldn't escape the Banyan tree's grip in Bangkok, Thailand. But being Buddha, he seems quite content with it. 7. 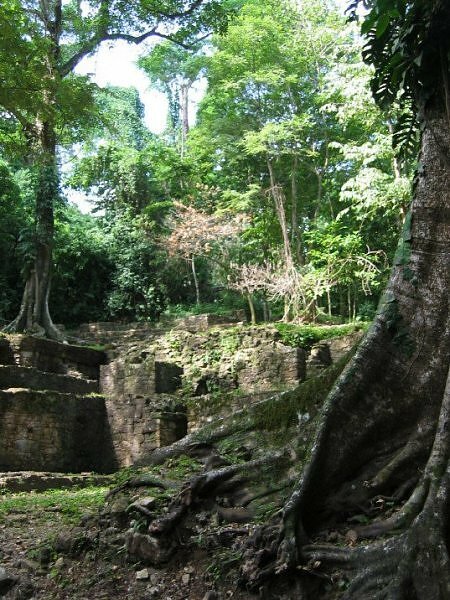 Even in Mexico, the Mayan ruins in Palenque have fared no better than the others: they are slowly being eaten up by the greedy jungle. 8. 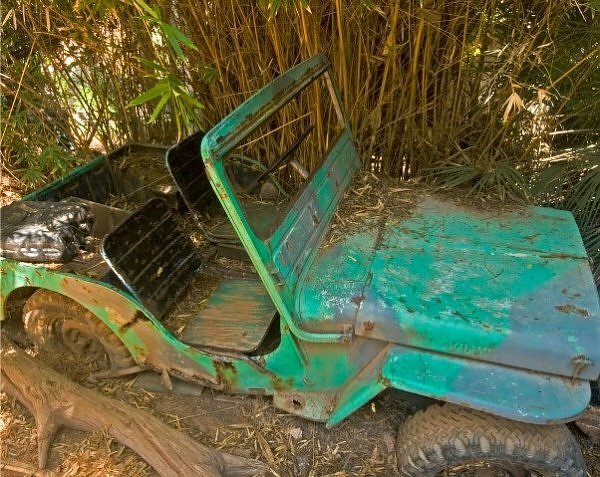 Even vehicles are not safe from the clutches of the jungle - this jeep looks like it's been there a while. 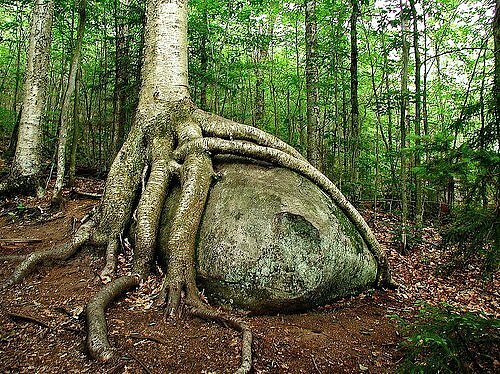 Notice how one tree root has grown around it. 9. This plane, too, has seen better days. 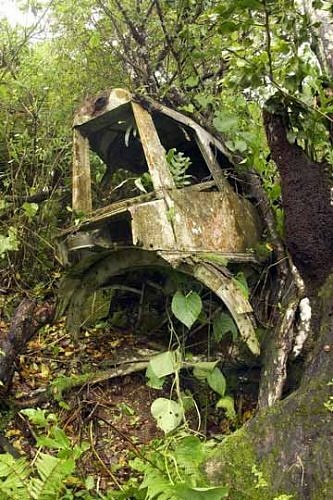 It is now a rotting attraction in the Cockscomb Basin Wildlife Sanctuary in Belize. 10. 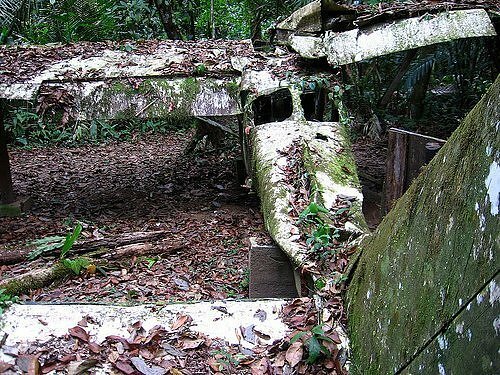 What looks like the skeleton of a truck was actually once a plane too. What we can see here are the tail, elevators, rudder and the tail gunner of a plane used in World War II and crashed in Guam. 11. 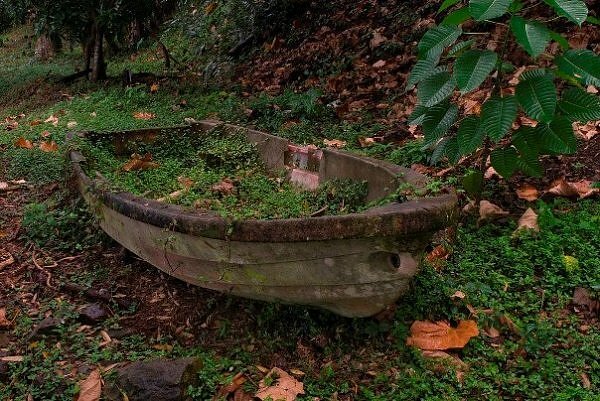 Even boats are devoured by the jungle like this one here in Nicaragua. 12. 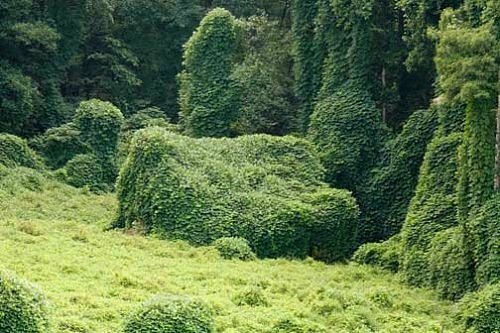 Okay, this is technically not a jungle though residents of Georgia, USA might know better but here, a creeper called kudzu has taken over so completely that one can barely make out wthat the vegetation is covering (it was a house). 13. This stone house in Cairns, Australia is still maintained by someone (notice the flower pots in the front) but don't be fooled, the rainforest is approaching fast! 14. 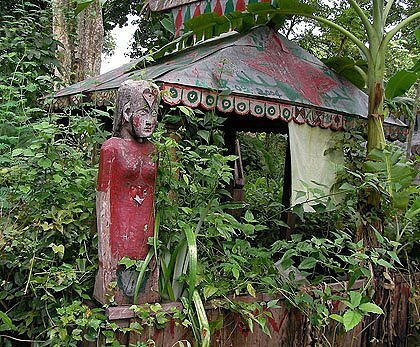 Someone got creative with this jungle shelter in Cambodia. 15. This structure in Argentinia could have been a house. Don't the tree roots look like stick figures climbing up? Framed by these blue flowers, it looks more like art than a building now. 16. Here's a house in the city centre of Bissau, Guinea-Bissau. Are the roots trying to imitate the balcony design? 17. This house is not strictly in the jungle (more likely somewhere in Canada) but it just looks to picturesque. Must be good insulation, too. 18. 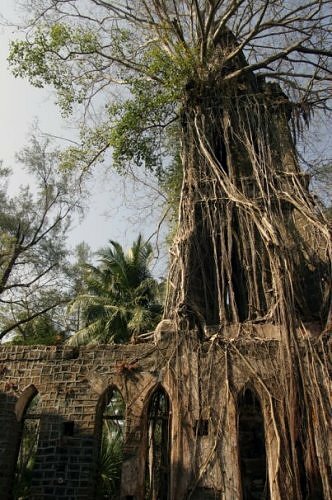 This church ruin can be found on Ross Island, part of the Andaman and Nicobar Islands. The tree has taken over the church tower but also created a new roof. 19. Here's a church ruin in a scenic spot in Corsica. 20. 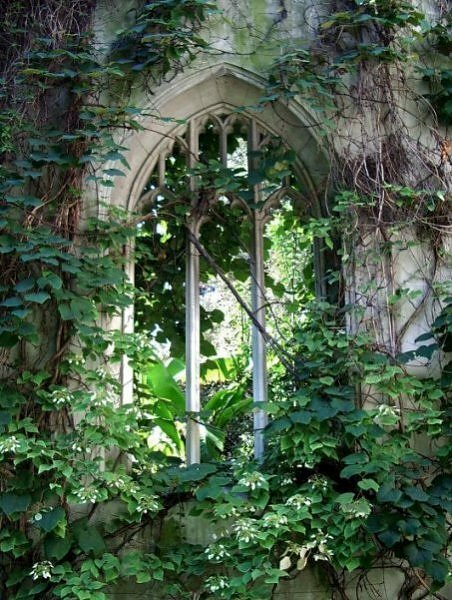 This overgrown church window is too picturesque to be missed. The Cairns, Australia image (#13) is actually a tourist attraction called Paronella Park - it was built by a rich Spaniard in the 30s. 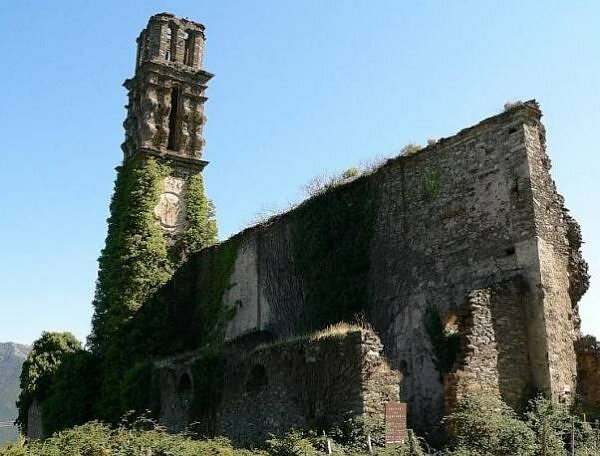 Paronella Park went to ruin after the Paronella family sold it off, & was reclaimed by the jungle. The current owners have cleared & restored much of the original grounds, but the buildings are slowly crumbling. Fire, flood & cyclones all take their toll. Very remarkable if you ask this humble person! Paronella park is an amazing place and should be seen by anyone who can before the goes to waste. and i live in cairns and i didnt even know it was in cairns i thought it was south of cairns. The one with the creepers over the house... there's tonnes of them in Japan, even central Tokyo. 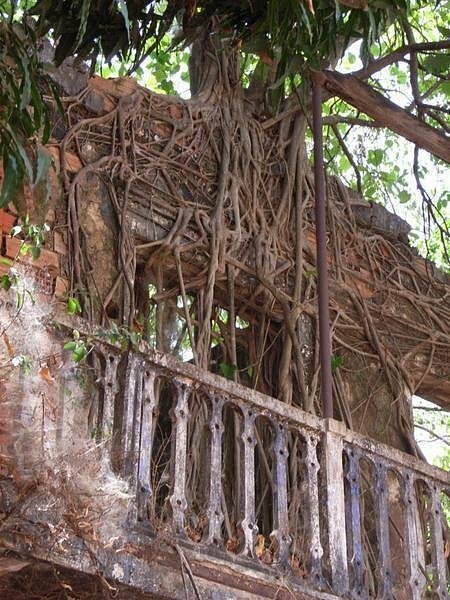 1/4 of Japanese houses are abandoned and they just get vines growing over them. 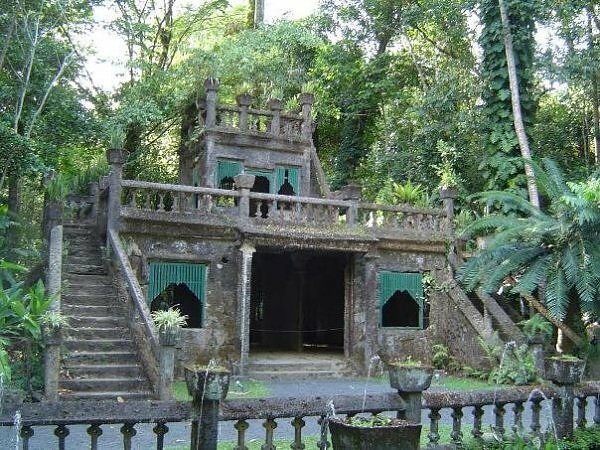 Locals call them "obakeuchi", literally "ghost house". In winter and spring they look like Chewbacca, in summer and autumn, a fluffy green blanket folded up between two skyscrapers, or besides a train station.